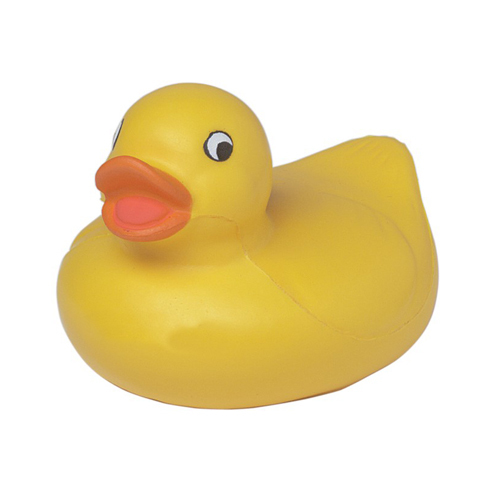 The rubber duck shaped stress reliever is a fun way to advertise any business for any event! Customers and clients will love having this to help loosen up and relieve stress anywhere they go! With your company s logo, they will love to squeeze, toss and display this cute duck everywhere! Products are not intended for use by children or pets. They may present a choking hazard to children under 3 years of age. Item Size : 3" X 2.5"